UU A Way Of Life: Does religion require a belief in a supernatural God? Does religion require a belief in a supernatural God? Rev. Guengerich points out that in this secular age we have a lot of choices when it comes to choosing a religion or none. We no longer rely on the "faith of our fathers and mothers" as a religious and spiritual path for our future. Our understanding of the world has changed and very rapidly. Many people still believe that God is supernatural able to command the forces of nature and is like Santa Claus dispensing gifts to good little boys and girls and withholding gifts, if not punishing them, when they are naughty. I call this the "vending machine" view of God. We insert our credits, our good deeds, and expect a reward in return. When we don't get what we paid for we feel cheated and blame the machine for malfunctioning or even worse deliberately betraying us. Childish thinking and understandings have been exceeded in our current understandings of science, and we, homo sapiens, have learned about these natural laws of the physical universe and can manipulate the phenomenon sometimes for our benefit and sometimes for our detriment. At any rate, it becomes increasingly clear that the Santa Claus god will not save us from our own mistakes and stupidity. We have to become smarter and wiser very fast to appropriately and judiciously use the powers we have acquired by our knowledge and technical skills. Rev. Guengerich writes, "The great religious challenge of our time is adapting our faith to the reality that God is not supernatural." p.13 We are slowly realizing that God is within us and that we are co-creating what we call "our reality" with God. We are slowly realizing that God is a verb not a noun. God is a process we call Life of the universe. We can cooperate with the laws of Life or manipulate them narcissistically for our own pleasure and to our own will at our own peril. Guengerich's position is that there is no supernatural God, but even without a belief in a supernatural God we need religion more than ever. Why? What would a religion without a belief in a supernatural God look like, operate like, function like? What would be it's purpose? As Fowler, Kohlberg, and others interested in human development have described, Unitarian Universalism is not a faith for people at earlier stages of development. 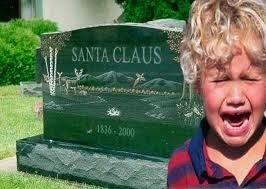 For many people the Santa Claus god works, or has worked until there is a crisis in their lives. With climate change, global warming, the end stages of capitalism, the rise of the digital age, and increasing population, we are on the brink of huge changes for life on planet earth. The myths that inspire us, and the cosmological stories we tell each other make a big difference in how we think of ourselves, each other, and our planet. These overarching stories can be beneficial or destructive and the story of god as Santa Claus, the supernatural god as Guengerich puts, it isn't working well for us any more. As Unitarian Universalists we are becoming increasingly aware that we are the ones that we've been waiting for, that human kind has been waiting for. We are the ones who can co-create a new story that will work better for us and save our planet. It is the creation of this new story and the sharing of it that is the work of religion in this new era. Guengerich has helped us to begin to envision it. Now we have to add our thoughts, feelings, behavior, energy, effort, talents to further fulfilling the dream of the new world we are moving into.